The City of Miami Housing & Commercial Loan Committee (HCLC) will conduct a public meeting at City Hall, Commission Chambers, 3500 Pan American Drive, Miami, FL 33133 on April 26th, 2019, at 9:00 AM, to discuss items related to general business, policies, and to provide the public an opportunity to comment on funding amendments affecting the City's annual Action Plan for U.S. HUD & other city funded programs . A Request for Proposal (RFP), RFP# HCD 2019-01, was issued on Monday, February 25, for affordable housing development and/or redevelopment to benefit extremely low-income households up to workforce households. 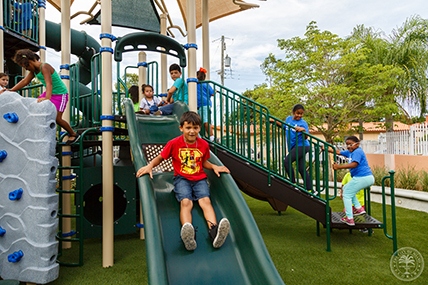 The RFP includes the availability of the following potential funding sources: Miami Forever Bond, HOME Investments Partnership Program, Community Development Block Grants (CDBG), and Affordable Housing Trust Fund (AHTF). Please see the ad below and the RFP for full details, including the most current Area Median Income (AMI) limits for the City of Miami i. We will have one pre-proposal workshop on Tues., March 12, 2019, 2 p.m., at Miami City Hall, Commission Chambers, 3500 Pan American Drive, Miami, FL 33133. Please direct all questions as indicated in the ad and RFP. A Cone of Silence is in place. We Need Your Input! Consolidated Plan Surveys are Now Available Here. 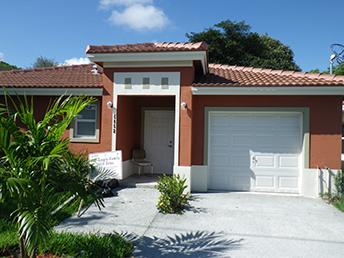 The City’s Department of Housing & Community Development is gathering data and feedback in preparation for the City of Miami Consolidated Plan 2019-2023, to be filed with the U.S. Department of Housing and Urban Development (HUD) this summer. We will be holding three public hearings (see information below) and are also gathering feedback from City residents via two Consolidated Plan Surveys, one is Housing-related and the other Non-Housing related. If you are a City of Miami resident, we need your help! Completing either survey should take no more that five to ten minutes. The results of these survey -- along with input from the scheduled community hearings -- will assist in determining priorities when allocating funding from the Community Development Block Grant (CDBG, HOME Investment Partnership Program (HOME), and Emergency Solutions Grant (ESG) programs that help low-income persons and community in our City. Thank you for you assistance! The City of Miami Housing & Commercial Loan Committee (HCLC) will conduct a public meeting at City Hall, Commission Chambers, 3500 Pan American Drive, Miami, FL 33133 on February 22nd, 2019, at 9:00 AM, to discuss items related to general business, policies, and to provide the public an opportunity to comment on funding amendments affecting the City's annual Action Plan for U.S. HUD & other city funded programs . 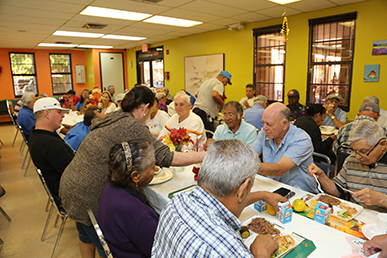 Each year, the City of Miami receives federal grant funds via the U.S. Department of Housing & Urban Development (HUD) to provide services for low-income seniors, children, and the disabled, assist businesses in creating jobs, provide job training, improve neighborhoods through projects that eliminate slum and blight, and provide affordable housing. These grant funds are limited and need to be prioritized and targeted in a way that will provide the most benefit to the most low-income people and areas. Once the City’s needs and goals are prioritized, these are submitted to the federal government in a master document known as the Consolidated Plan that spans five years. The Consolidated Plan is a written document that identifies how the City will use the limited federal dollars it receives to aide its neediest residents and neighborhoods over the long term. Three public hearings will be held in early 2019 to obtain input from City of Miami residents on what they feel are the needs and priorities of their communities as part of the Consolidated Plan of 2019-2023. The City of Miami Housing & Commercial Loan Committee (HCLC) will conduct a public meeting at City Hall, Commission Chambers, 3500 Pan American Drive, Miami, FL 33133 on November 28th, 2018, at 9:00 AM, to discuss items related to general business, policies, and to provide the public an opportunity to comment on funding amendments affecting the City's annual Action Plan for U.S. HUD & other city funded programs . 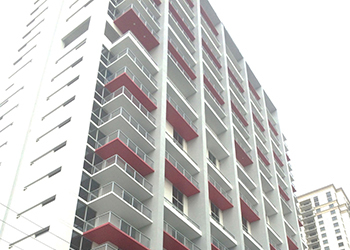 Are you interested in adding affordable housing in Miami? 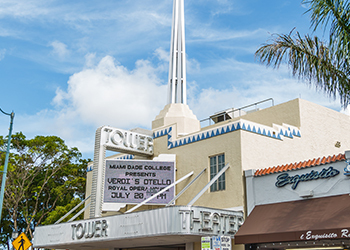 Come and learn more about the Connect Capital Miami initiative at a meeting for the public on Thursday, October 11, 2018, 6 p.m., at the Overtown Performing Arts Center, 1074 NW 3 Ave., Miami, FL 33136. Learn about the initiative's goal to create or preserve 12,000 affordable housing units in the City by 2024. How do we get there? Join the conversation and give us your input. Please RSVP via Facebook at @CityofMiamiCED if you plan on attending, as event space is limited. For questions, contact 305-416-1768 or email connectcapital@miamigov.com. See flyer for full details. The City of Miami Housing & Commercial Loan Committee (HCLC) will conduct a public meeting at City Hall, Commission Chambers, 3500 Pan American Drive, Miami, FL 33133 on September 26th, 2018, at 9:00 AM, to discuss items related to general business, policies, and to provide the public an opportunity to comment on funding amendments affecting the City's annual Action Plan for U.S. HUD & other city funded programs . The City of Miami Housing & Commercial Loan Committee (HCLC) will conduct a public meeting at City Hall, Commission Chambers, 3500 Pan American Drive, Miami, FL 33133 on July 25th, 2018, at 9:00 AM, to discuss items related to general business, policies, and to provide the public an opportunity to comment on funding amendments affecting the City's annual Action Plan for U.S. HUD & other city funded programs . Interested housing builders and developers are invited to join us for a workshop we will hold on Friday, July 27, 2018, 10 am to 12 noon, at the James L. Knight Conference Center, Miami Lecture Hall, Third Floor, 400 SE 2 Ave., Miami, FL, 33131. 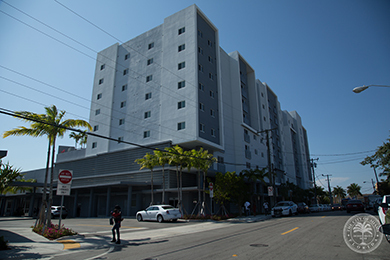 Representatives from both the Housing & Community Development and Planning Departments will review the current incentives in Miami 21 tied to affordable and workforce housing (Sec. 3.15 and Sec. 3.16) that require an Affordable Housing Certification. The workshop is free. See flyer for full details, including parking information and where to RSVP. Our Department has moved to a new location. 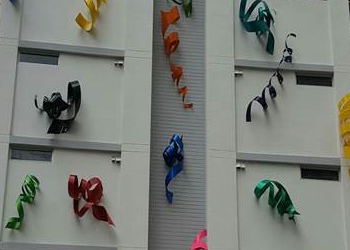 We are at the One Flagler Building located at 14 NE 1st Avenue, Second Floor, Miami, FL 33132, in downtown Miami. All staff and phone number remain the same. 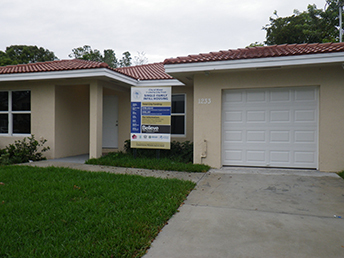 As per the Code of Federal Regulations 24 CFR 91.200, the U. S. Department of Housing and Urban Development (HUD) requires entitlement communities that receive funds under its grant programs to prepare an annual Action Plan, which details proposed activities to maximize the benefits of federal funding for low income residents and to provide citizens with reasonable notice of and an opportunity to comment on any new allocation and/ or amendment of HUD programs. 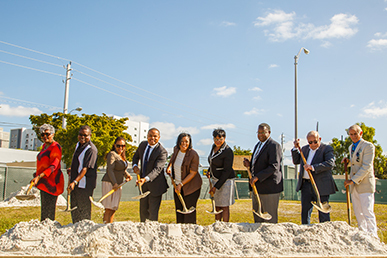 The City of Miami is required to report annually to HUD on projects funded through the Community Development Block Grant (CDBG); Home Investment Partnership (HOME); Emergency Solutions Grant (ESG), and Housing Opportunities for People with AIDS (HOPWA) programs. The City of Miami Department of Community and Economic Development is accepting applications for the FY2017-2018 Micro Business Enterprise (MBE) Program in District 2. This program is funded with Community Development Block Grant (CDBG) funds and provides for up to $10,000 for qualifying micro businesses located in District 2 of the City of Miami. A business may qualify if it meets the following criteria: (1) For-Profit Business; (2) Has 5 or fewer employees (owner included); (3) The owner must have an income of less or equal to 80% of the area median income (refer to chart below); (4) Business must be located within the District 2 of the City of Miami; (5) Business must be licensed and up-to-date with all applicable licenses; (6) Business must not have received previously Micro Business Enterprise Assistance more than twice before. Applications Available to Interested Businesses, Friday, April 20th, 2018. The City of Miami Housing & Commercial Loan Committee (HCLC) will conduct a public meeting at City Hall, Commission Chambers, 3500 Pan American Drive, Miami, FL 33133 on April 25th, 2018, at 9:00 AM, to discuss items related to general business, policies, and to provide the public an opportunity to comment on funding amendments affecting the City's annual Action Plan for U.S. HUD & other city funded programs . 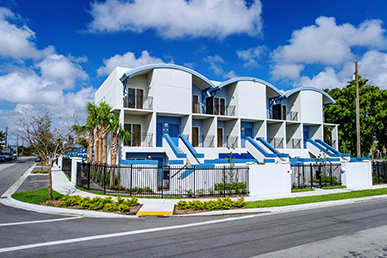 Two or more Commissioners of the City of Miami, and members of their staff, may be participating in an informational workshop on affordable housing topics by subject matter experts. The Sunshine Meeting is scheduled for Thursday, March 1, 2018 at 9:00 A.M., in the City Commission chambers located at 3500 Pan American Drive, Miami, FL 33133. The City Commission chambers is accessible for members of the public to attend. The City of Miami Department of Community and Economic Development (DCED) is announcing the availability of FOUR seats to serve as a voting member to the Housing and Commercial Loan Committee (HCLC).The HCLC's purpose is to approve or disapprove certain housing and commercial loans and/or grants to be provided by the City of Miami under Community Development Block Grant (CDBG), HOME Investment Partnership Program (HOME), Housing Opportunities for People with AIDS (HOPWA), State Housing Initiatives Program (SHIP), Affordable Housing Trust Fund (AHTF), and any other funds administered by the DCED. The HCLC is also tasked with studying the housing affordability crisis in the City and making bi-annual policy recommendations to the City Commission. HCLC members must meet certain housing-, banking related experience qualifications. If you are interested in applying, please send your completed application, accompanied by a CV/Resume, to City of Miami, Department of Community and Economic Development, 444 SW 2nd Avenue, 2nd Floor, Miami, FL 33130.